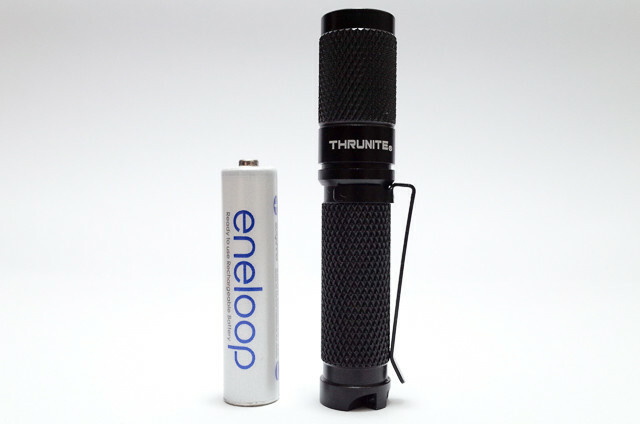 ThruNite Ti3 is one of the best AAA flashlight for daily carry. 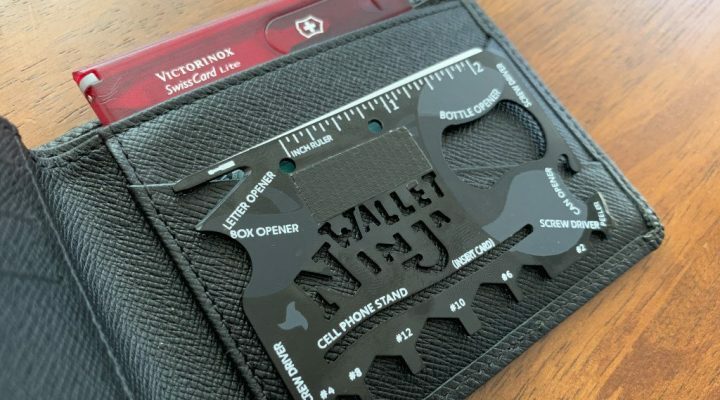 Due to its compact size and light weight, it can easily disappear in your pocket or bag. 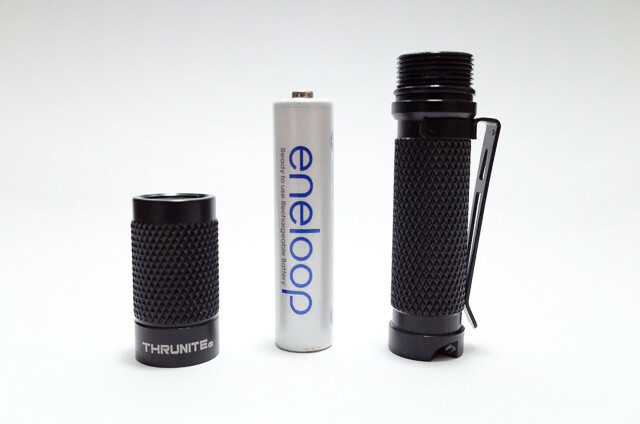 It uses a readily available single AAA alkaline or rechargeable NiMH battery. The flashlight is small enough to be attached to a keychain. Despite it being small, it can output enough light when needed. 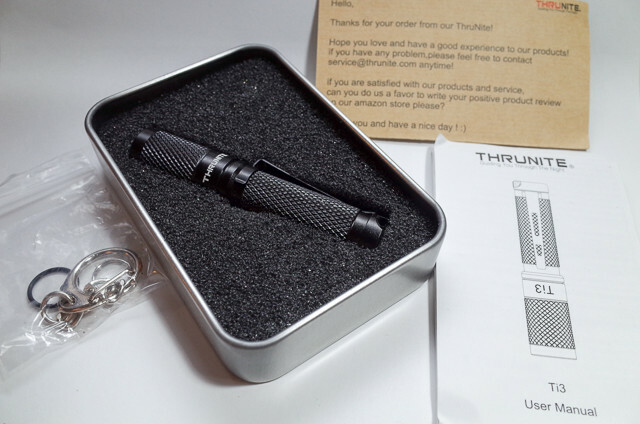 Lets check this light out in this ThruNite Ti3 review. 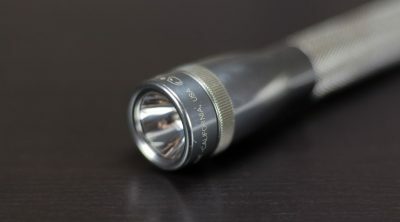 Note that this flashlight comes in two different models, Cool White (CW) and Neutral White (NW) with the only difference being in the light color. Cool White is a whiter light is similar to what you get with fluorescent lighting. It can appear harsh and washes out colors. Neutral White has a warmer shade and less harsher and provides good color rendering. 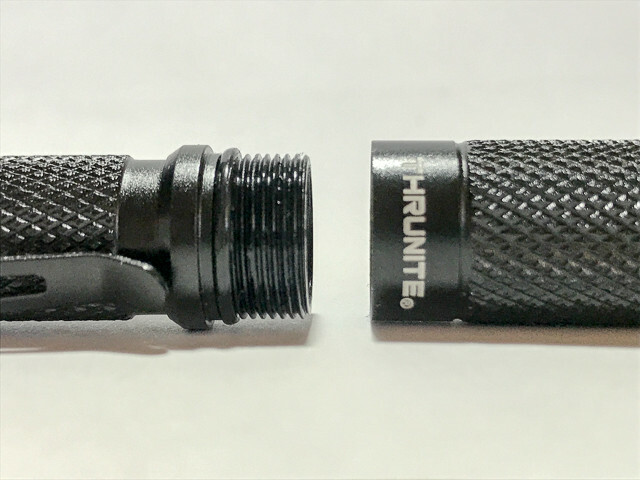 In this ThruNite Ti3 review we will be looking at the Neutral White version. 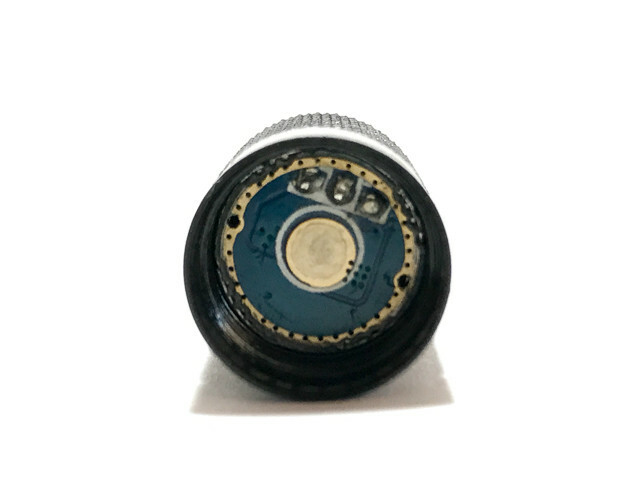 There are no differences between NW and CW versions of the flashlight apart from the tint. It comes in a small tin box with a cardboard sleeve. Inside the tin are the user’s manual, a short note, a lobster claw clip, and the flashlight between foam padding. It also comes with a small key ring and an extra O-ring. 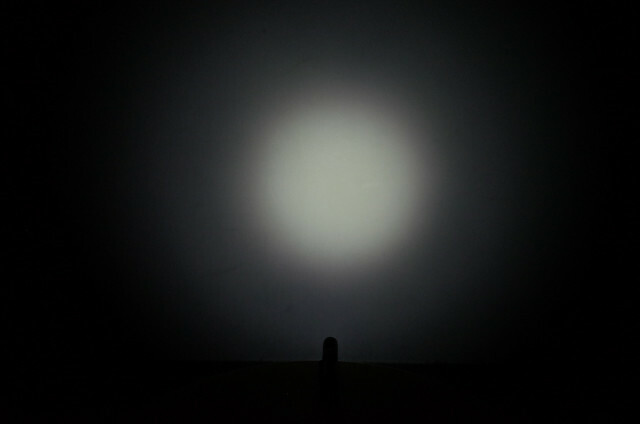 Once out of the box, you can see the quality of the flashlight body. 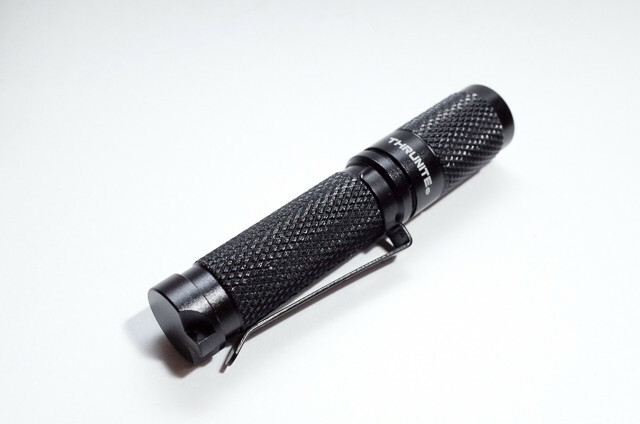 The finish is excellent and the diamond knurled texture provides good grip. 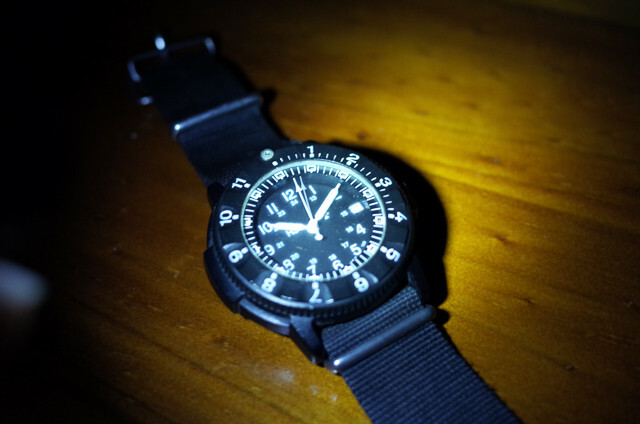 Body is made from Type III hard anodized aluminum and has an IPX-8 (2M) which makes it waterproof. 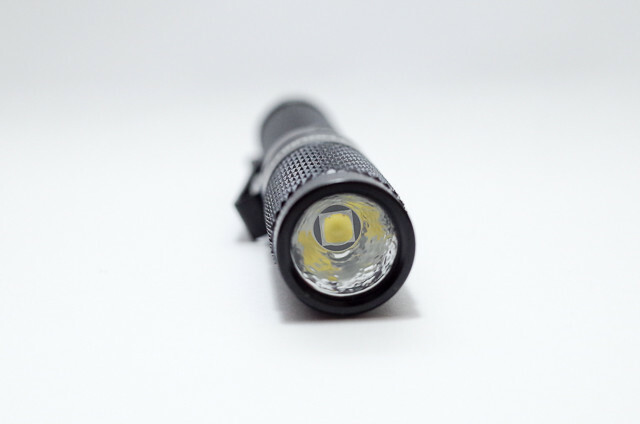 This light uses a Cree XP-L V6 which outputs 130 lumens on high. 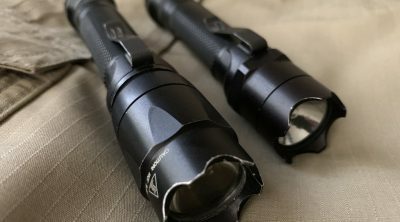 Considering that this is a small flashlight, 130 lumens is already bright enough for daily use. The lens has an anti-reflective coated glass, and because this is a NW model, there is an orange peel reflector. 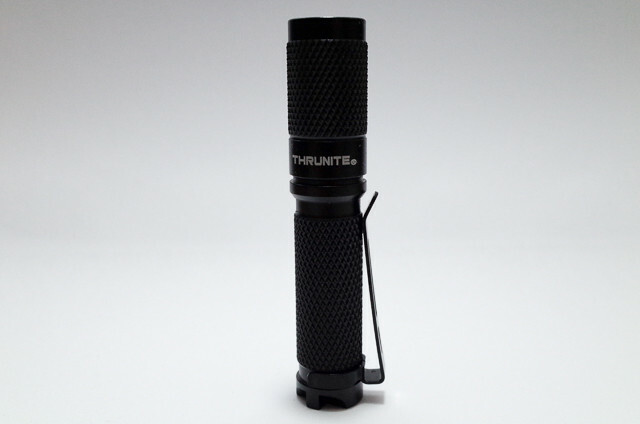 ThruNite Ti3 showing Cree XP-L V6 LED emitter with orange tint on the reflector. 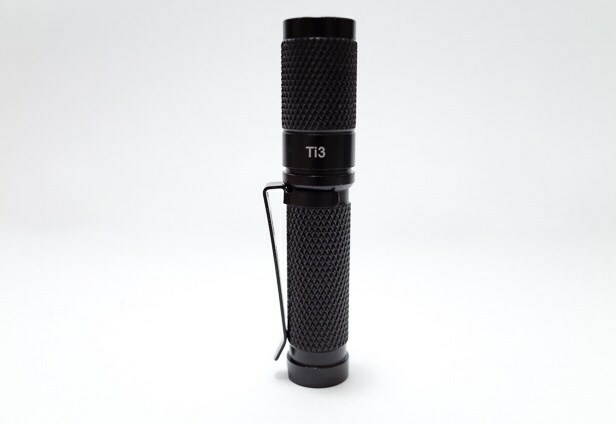 The Ti3 is twist operated like most single AAA flashlights. To turn the flashlight on or change to different modes just twist the head. Losing the head will not be an issue because it will take several turns before the head detaches from the body. 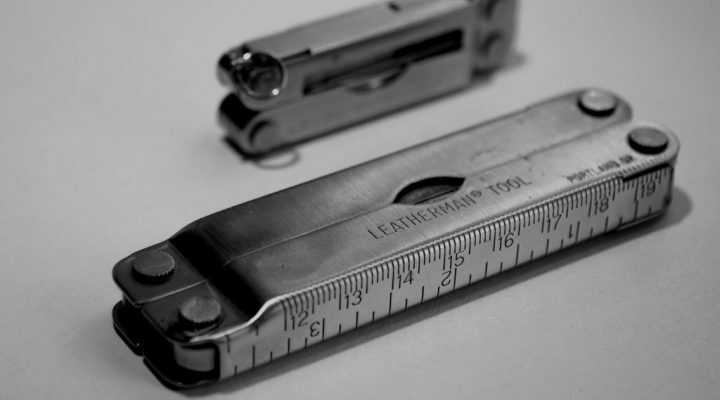 One-handed operation is easy to do due to the grippy texture of the body. 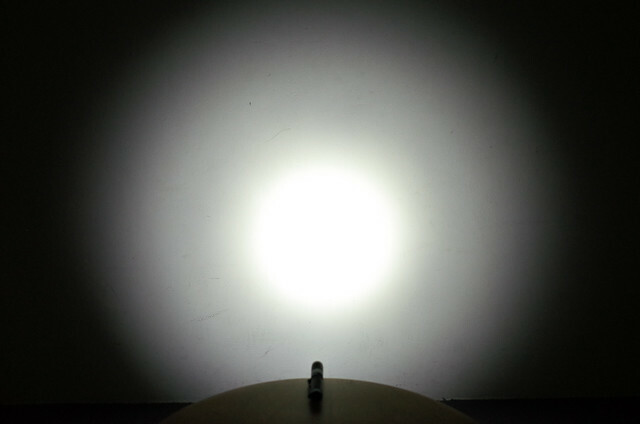 The light has three modes and a hidden extra strobe feature.  Cycling through three modes twice activates the strobe feature (F-M-H-F-M-H-Strobe). 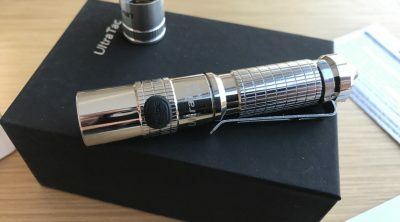 Here are some beam shots for this ThruNite Ti3 review. It is difficult to take a photo of firefly mode, it is not extremely bright, but it looks better on actual use. Very useful when lighting close objects as you can see in the photo below. Switching the light on always starts with moonlight or firefly mode. This mode will not affect your night vision if your eyes are already adjusted to the dark. It is also best used when indoors, and you do not want to disturb anyone with a bright light. Ti3 has mode memory which retains the last mode you use. Turn the light off between 2 to 10 seconds, and when turning it back on, it will use the last mode accessed. After 10 seconds, it will go back to firefly mode. 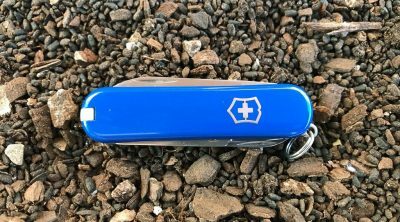 The reversible pocket clip may look fragile, but it attaches to the flashlight body well enough. 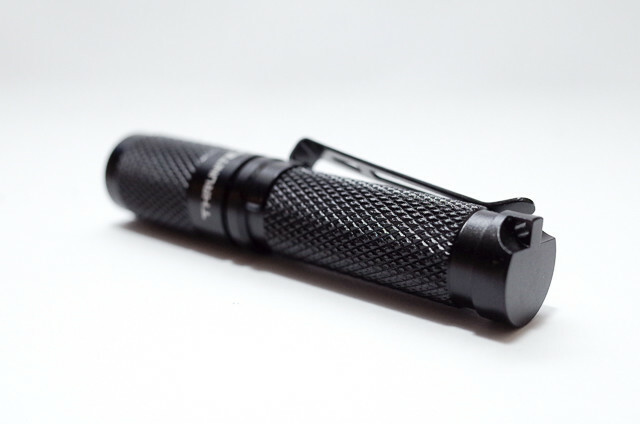 Depending on how you want to use the light, you can attach the clip in two different locations. 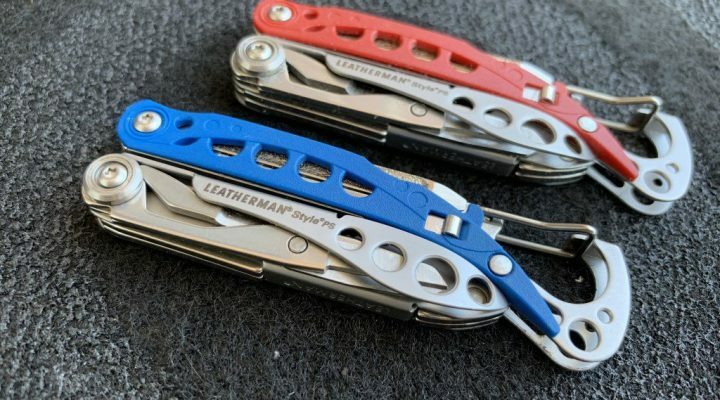 Attach the clip near the base for pocket carry. But if you often wear a cap, it will be best to attach the clip near the head so you can put it on the brim of your hat. Because of its flat base, tail stand is possible like a candle to illuminate a whole room. 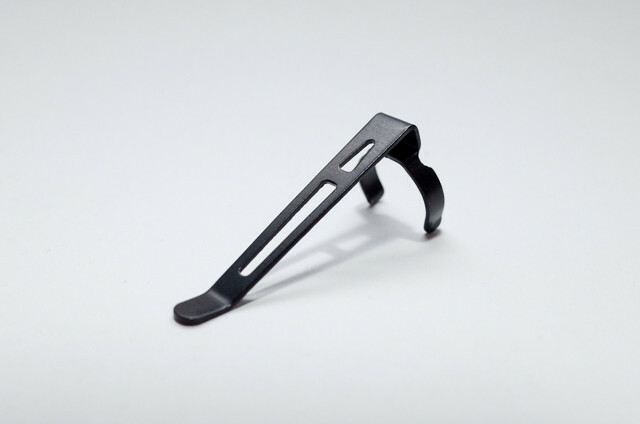 It is also possible to attach it to a key chain since the base has a small hole to attach a key ring to. 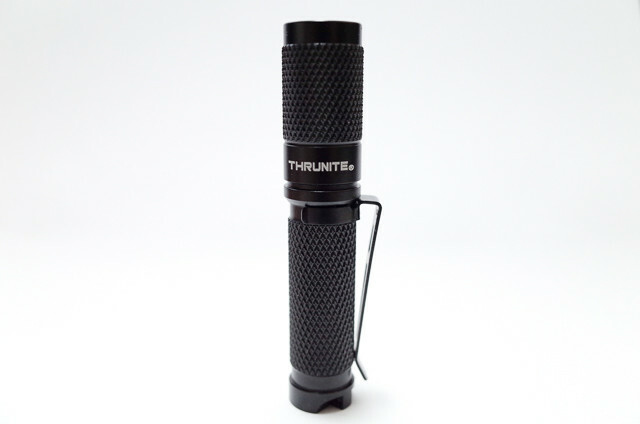 ThruNite Ti3 is perfect for every day carry. 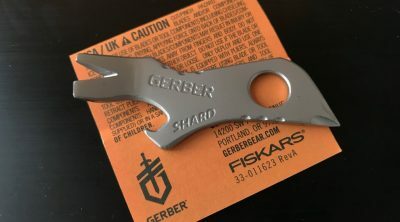 Small enough to carry everywhere, usable modes, well made, and only retails for around $15.00 which makes it an excellent purchase.